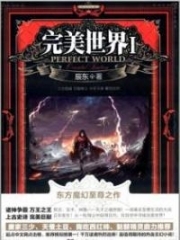 You’re reading novel King of Gods 842 Oversee online at LightNovelFree.com. Please use the follow button to get notification about the latest chapter next time when you visit LightNovelFree.com. Use F11 button to read novel in full-screen(PC only). Drop by anytime you want to read free – fast – latest novel. It’s great if you could leave a comment, share your opinion about the new chapters, new novel with others on the internet. We’ll do our best to bring you the finest, latest novel everyday. Enjoy! Outside Xie Yang Palace, the enormous black-scaled body of the Black Destruction Serpent Dragon twirled in the air. It occasionally smashed its claw toward the G.o.d's Forbidden Array and caused hundreds and thousands of purple-and-blood-colored beams of light to shoot out. "Zezeze, the game's only just begun, and my chess pieces have already come into play…." The Black Destruction Serpent Dragon had a playful expression. It could feel and control the situation and movements of everyone within Xie Yang Palace through the Mark of Destruction. It was like an outsider watching a battle in a cage. At the same moment, in a certain corner of Xie Yang Palace, two purple-haired figures hid in a large tree in a courtyard. "The next target to ambush is Sky Sword Pavilion." "The Little Sword Saint of Sky Sword Pavilion isn't simple. We need to be more careful this time." The appearances of these two purple-haired figures were exactly the same as Zhao Feng and Nan Gongsheng. A cold voice that seemed to gaze down on every living being sounded in the ears of the duo, "Be careful. The true Purple-Haired Demonic Duo may have guessed your ident.i.ties already." "Understood, Lord Black Serpent Dragon." The two purple-haired figures had respectful expressions. At this moment, a group from Sky Sword Pavilion walked into a six-sided metallic building. The six-sided building was made from a dark red metallic material that gave off a fiery-hot aura before they even got close. "Building of Refinement." A white-mustached man from Sky Sword Pavilion read the three words on the building with glittering eyes. Hearing those words, the hearts of several geniuses shook. "I can feel the summoning of a divine sword…." The Little Sword Saint seemed to have entered a mystic state of the Sword Dao. His white mustache and white hair suddenly blew in the wind as a surge of divine Sword Intent shot out from his eyes. "Who's there!?" The Little Sword Saint turned instantly turned around, and a half-transparent streak of dazzling five-colored sword-light pierced toward a large three behind him. This attack travelled through both the physical and mental energy dimensions. "What a terrifying sword attack!" The hearts of the two purple-haired figures in the tree shook. In that instant, the sharp expression of the Little Sword Saint seemed to enlarge, and the sword-beams that covered the sky made the duo panic. The two purple-haired figures groaned as they turned into a streak of purple-and-silver light and sped into a garden in the distance. "Senior Sword Saint, those two seem to be the Purple-Haired Demonic Duo," a youth in black that seemed to have just broken through said respectfully. The power of the Sword Dao that the Little Sword Saint unleashed just now was terrifying, and his Sword Intent could travel through both the physical and mental energy dimensions. "Hmph, they're just two non-human brats. I don't want to waste my energy on them." The Little Sword Saint snickered coldly and led the group from Sky Sword Pavilion toward the six-sided metallic building known as the Building of Refinement. There were black metallic doors at the front and back of the six-sided building. "This Building of Refinement definitely contains a peerless weapon. If we get it, we may be able to fight against the Black Serpent Dragon," the Little Sword Saint said in a deep tone, and the elites of Sky Sword Pavilion started to inspect the place. Another group landed in front of the Building of Refinement, and their force was stronger than Sky Sword Pavilion. "Great Gan imperials!" A sword-light seemed to flash through the eyes of the cold female sword cultivator from Sky Sword Pavilion. Indeed, the figures of the Eighth Prince, the Ninth Prince, the Thirteenth Prince, and company came into sight. "My Sacred Emperor's Sword sensed a powerful Sword Intent here…." The Thirteenth Prince's eyebrows rose as he inspected the six-sided metallic building. The Spiritual Connection Rat on Luo Zun's shoulder gave off excited sounds. Looks like this Building of Refinement definitely contains an important treasure of the Sword Dao, the Eighth Prince thought. The Great Gan imperials also started to inspect the Building of Refinement, and an imperial blacksmith master found that there was a flaw in the G.o.d's Forbidden Array around it. "Indeed, if the G.o.d's Forbidden Array was complete, we wouldn't have been able to sense the aura of the treasures within." The blacksmith master had a smile on his face. In a corner of a faraway garden. "That old man is terrifying…!" Two purple-haired figures looked at each other as solemnness filled their faces. With a flash, the two purple-haired figures turned into two non-human males. One of them was covered in blue scales and had blue horns, similar to the serpent dragon race. The other non-human male had a pair of earthen-yellow horns and a pair of beady green eyes. He was made up of green muscle. "That old man is most likely the strongest and scariest of everyone who entered from the outside world," the Blue Serpent King said in a wary tone. "He's terrifying." The beady green-eyed non-human male hadn't fully recovered yet. "Even Void G.o.d Realm Emperors might not be his match. Even the ability of my Thousand Changes Dragon bloodline didn't escape his eyes." "There's no need to rush. The Little Sword Saint has weaknesses as well. He used to be a peak Emperor that had a chance to break through to the Mystic Light Realm, but now that he's reached the end of his lifespan, his lifeforce and soul are withering, and his cultivation has dropped. 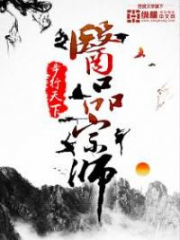 Any powerful move will use up his lifeforce and soul-strength," Wei Jing said. Wei Jing had heard stories about the white-mustached Little Sword Saint. It was definitely a miracle; when the Little Sword Saint just started cultivating, his talent was extremely normal, and it could even be considered trash. However, his comprehension of the Sword Dao reached a terrifying stage, and he managed to become an Emperor after countless years of effort. However, after a huge battle where he ended up killing a Mystic Light Realm Sacred Lord, the Little Sword Saint's lifeforce and soul started to wither. The Little Sword Saint was relying on his powerful Sword Dao Intent and various treasures to slow the rate of his withering lifeforce and soul, but if he wasn't able to find any heaven-defying treasures in the Divine Illusion Dimension, the Little Sword Saint wouldn't be able to live more than three years. "The Building of Refinement may contain a not-bad divine weapon or treasure. You two shouldn't miss this opportunity…." the Black Serpent Dragon's voice suddenly sounded in their minds. Divine weapon or treasure. Wei Jing and Green Beady Eyes looked at each other and felt their heart-rates speed up. The Black Destruction Serpent Dragon had a rather high standard, so "not bad" definitely wouldn't be something simple. The Black Serpent Dragon's suggestion made the two, who were about to leave, stay behind. "We'll have a chance to sneak in when there's more people. As long as the Little Sword Saint doesn't use his Sword Intent against us, then no one should be able to see through us." Green Beady Eyes nodded his head. With the help of the Black Destruction Serpent Dragon, the two non-humans were like fish in water inside Xie Yang Palace. However, right as the duo was making their plans, a shocking scene appeared. Green Beady Eyes raised his eyes and looked into the sky. At the same time, the members from Sky Sword Pavilion and the imperials in front of the six-sided metallic building all looked up as if they had sensed something. A transparent purple Eye of Heaven appeared in the sky and gazed down coldly as if it was the Heavenly Dao itself. "Hmm?" The Little Sword Saint's heart shook as he looked at the Eye of Heaven. He wasn't able to see through the Eye of Heaven even with his Sword Intent. "That eye…" The Eighth Prince felt that this eye was familiar. The Spiritual Connection Rat on Luo Zun's shoulder started to tremble in fear as the Eye of Heaven gazed down. In front of the six-sided building, all of the geniuses and elites were silent. The Eye of Heaven gazed down with undefiable mental energy pressure. Even the Little Sword Saint felt pressured. "What kind of existence is that?" Wei Jing and Green Beady Eyes felt a coldness and pressure from the Eye of Heaven, and their hairs stood up on end. It was as if the Eye of Heaven was looking right at them. A multi-colored light flashed around Green Beady Eyes. The next instant, Green Beady Eyes and Wei Jing disappeared. A couple breaths later, the duo pretended to be two small trees that hid in the garden. "Hmph!" A cold voice sounded next to their ears alongside a burst of mental energy. Cold sweat appeared on Wei Jing's and Green Beady Eyes' foreheads. Luckily for them, the Eye of Heaven only paused for a few moments, as if it was only looking down from above. "Lord Black Serpent Dragon, that eye… what…?" Green Beady Eyes couldn't help but ask as his hairs stood up. Although the Eye of Heaven looked like it had no offensive abilities, it gave the duo a dangerous feeling. "Ant, you're courting death~~~~!" The angry roar of the Black Destruction Serpent Dragon sounded next to their ears. Wei Jing and Green Beady Eyes felt their blood shake. A transparent purple Eye of Heaven faced the Black Destruction Serpent Dragon, only separated by the G.o.d's Forbidden Array. A purple spike shot out from the Eye of Heaven and stabbed into the Black Serpent Dragon's soul. The Black Destruction Serpent Dragon was unharmed, but it became enraged. A measly ant dared to attack a majestic being from the Destruction Dragon Race? The Black Destruction Serpent Dragon smashed its claw forward, but it was blocked by the G.o.d's Forbidden Array. The G.o.d's Forbidden Array was extremely unique; attacks from outside would be blocked, but attacks from within wouldn't be affected. A two-yard-long blade with the immortal and undying aura of G.o.d Tribulation Lightning sliced through the Black Serpent Dragon's head. A faint mark that drew blood appeared on the skin of the Black Destruction Serpent Dragon's head, but it instantly healed. The Black Serpent Dragon clashed its enormous body against the G.o.d's Forbidden Array, and its roar alerted all the geniuses and elites with a Mark of Destruction within Xie Yang Palace. Since the connection between Wei Jing and Green Beady Eyes was extremely tight with the Black Serpent Dragon, their blood tossed and turned, and they almost coughed out blood. The Eye of Heaven only stayed within Xie Yang Palace for a couple breaths and unleashed a few attacks before quickly disappearing. "As expected, the body of a Destruction Dragon…"
Within an underground cellar in the depths of Xie Yang Palace, Zhao Feng slowly opened his eyes. "What happened just now?" Nan Gongsheng heard the Black Serpent Dragon's roar from the Mark of Destruction in his body, as well as a burning sensation. He didn't know that Zhao Feng just used the Eye of Heaven to gaze over and the entire Xie Yang Palace and attack the Black Serpent Dragon to test its abilities. 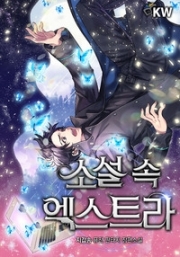 You're reading novel King of Gods 842 Oversee online at LightNovelFree.com. You can use the follow function to bookmark your favorite novel ( Only for registered users ). If you find any errors ( broken links, can't load photos, etc.. ), Please let us know so we can fix it as soon as possible. And when you start a conversation or debate about a certain topic with other people, please do not offend them just because you don't like their opinions. You're reading King of Gods 842 Oversee. This novel has been translated by Updating. Author: Fast Food Resturant,快餐店 already has 342 views. Current Time is Apr-19-2019 20:44:43 PM.